In a 2011 interview, Sir Elton John said he feared his son Zachary would face bullies in school because he didn't "have a mommy." He also spoke of the difficulty he may face as the son of a celebrity. 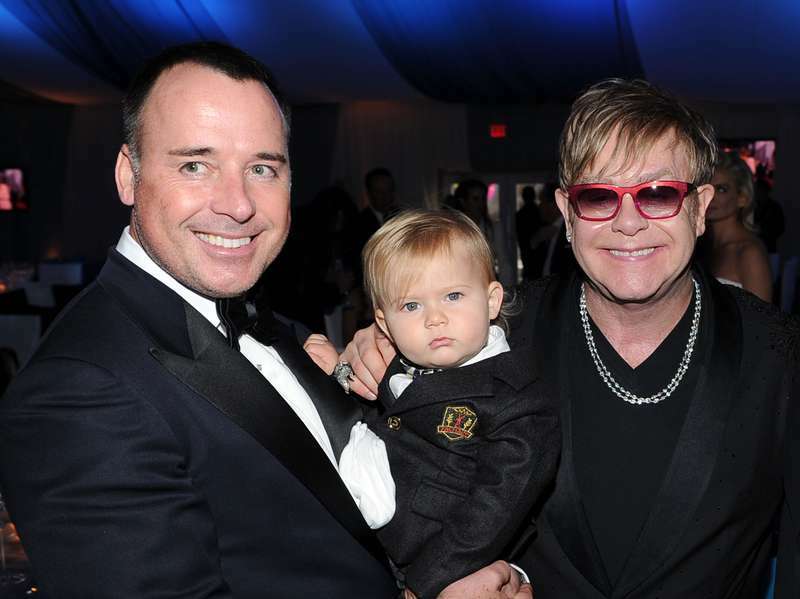 The British star and his Canadian civil partner David Furnish became parents on December 25, 2010, to the first child conceived using a donor egg and born via a surrogate mother. Talking about his sons Zachary and Elijah naturally made Elton John burst with pride during an appearance on The Ellen DeGeneres Show. The singer admitted that he couldn't believe how happy and lucky he is. If you'd had said to me ten years ago I'd be sitting on your show married to the man I love and have two beautiful children; I would have said you put acid in my drink. John explained how he is trying to give his son a musical upbringing by introducing him to classical composers Chopin, Mozart, and Beethoven - as well as the children's song "Nellie The Elephant" - at a very young age, but that his son was more interested in football and cooking. The singer fears his children will struggle with bullies because he works in show business and because of they don’t "have a mommy." We've come a long way, but there's still homophobia and will be until a new generation of parents doesn't instill it in their children. John, whose 1997 remake of his 1973 hit "Candle in The Wind" sold 33 million copies, said the toddler did not yet have an understanding of his father's fame. When he finds out, he'll look at me as if I'm bonkers. Being the child of someone famous is a huge ball and chain around your ankles. It's going to be very difficult. For the past five years, GBrookly photographer Gabriela Herman has been photographing and interviewing people from all over the country with one or more LGBTQ parent. Everyone in my family is adopted. I had less trouble with two moms and more issues with finding myself, you know, with race and ethnicity. I was raised by my mom and her different partners, but a lot of her past partners and friends were in my life, to the extent that I feel I was raised by a lot of different women. He said, 'It's time for me to confront my identity’, and I asked 'Are you gay?' and he says, 'Well, I haven't had any experiences to be sure'. And I think the next words out of my mouth were, 'Dad; I'm pretty sure you're gay'. For my sister and me, we were more upset about the feeling of being lied to for a long time than about my dad's sexuality. The first time it was ever spoken about was when my mom bought this book "Daddy's Roommate." 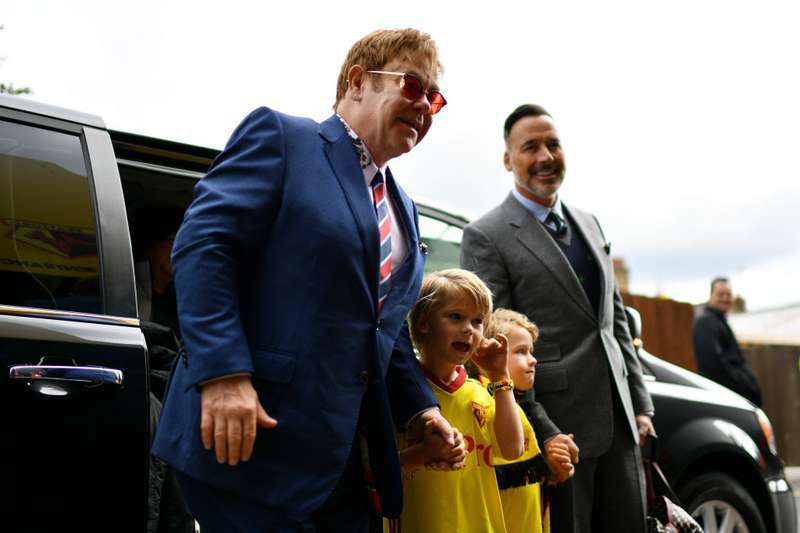 With the work ethic and courage of Elton John, we are so sure his children will be just fine.